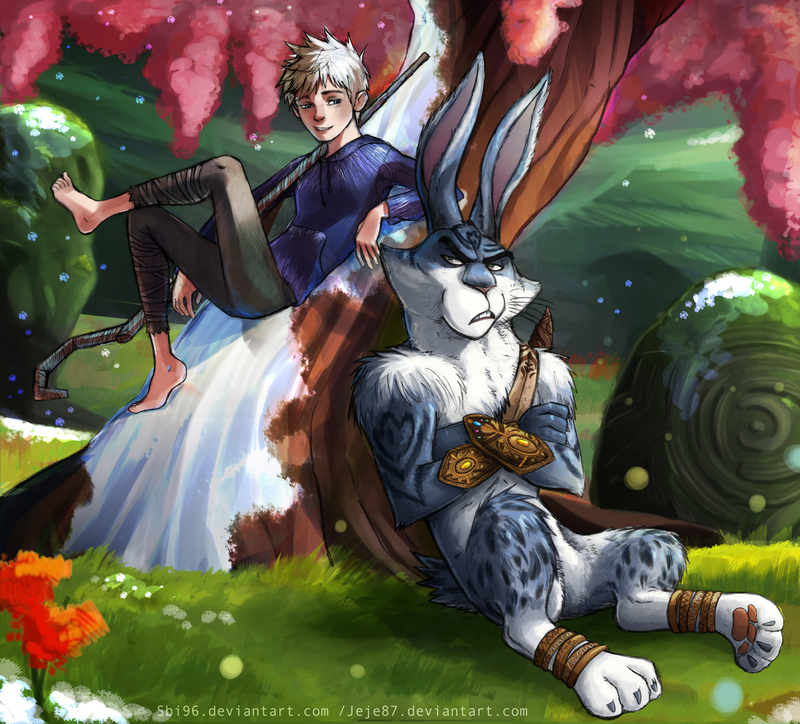 Jack Frost and Bunnymund. Rise of the Guardians. HD Wallpaper and background images in the Rise of the Guardians club tagged: rise of the guardians jack frost tooth north bunnymund sandy pitch dreamworks animated film. This Rise of the Guardians fan art might contain アニメ, 漫画, マンガ, and コミック.